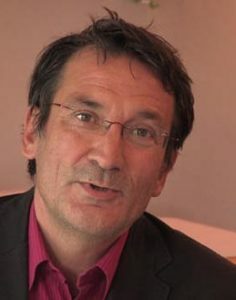 Stefan Koelsch. Professor at the Institute for Biological and Medical Psychology at the University of Bergen (Norway). He has Masters degrees in music, psychology and sociology, and did his PhD and his Habilitation at the Max Planck Institute for Cognitive Neuroscience, where he also led the Independent Junior Research Group „Neurocognition of Music“ after being a post-doctoral fellow at Harvard Medical School (Boston, USA). His research foci include the neurocognition of music, neural correlates of emotion, music therapy, similarities and differences between music and language processing, neural correlates of cognition and action, emotional personality and the unconscious mind. e inconscio. Emmanuel Bigand. 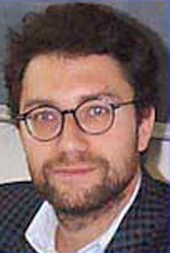 Professor of cognitive psychology at the “Institut Universitaire de France” and the Université de Bourgogne Franche Comté. His research investigates cognitive processes involved in music perception and performance. He published a referential book on auditory cognition (“Thinking in Sound”, OUP, 1993), and more than 100 scientific articles in international journals. Between 2009 and 2013, he was the main coordinator of the European research program « EBRAMUS », which investigated how music boosts sensory, cognitive and motor processes in normal and impaired children and adults.Emmanuel Bigand has also completed a full music conservatory training, and has performed as a professional double bass player in the Symphonic Orchestra of Marseille and the Orchestre National de France. Today he proposes concert conferences mixing music and science in an innovative way (www.swingthebrain.com). Luisa Lopez. 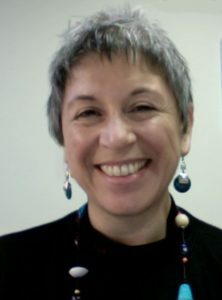 Born in Mexico City in 1959, she is a Neuropathophisiologist with a PhD in Neuropsychopathology of Learning Processes during the Developmental Years; Medical Responsible of the Neuropsychiatric Surgery in the “Villaggio Eugenio Litta di Grottaferrata” Rehabilitation Center; Scientific consultant of the Neuroscience and Music project of the Mariani Foundation; she is also a lecturer at the university course of Developmental Years Neuropsychomotricity of the “Tor Vergata” University of Rome for the integrated course of Child Neuropsychiatry 1; at the University Masters Degree in “Neuropsychology of Specific Learning Disorders” and at the Faculty of Science of Education at the “Carlo Bo” University of Urbino for the Physiopathology course of neuropsychological cognitive development. Scientific Responsible of the “Oltre” Training School in Music Therapy in Rome; she provides training activities for universities and on behalf of the Italian Dyslexia Association. Orii Mc Dermott. Senior Research Fellow at the Division of Psychiatry and Applied Psychology, University of Nottingham, UK and the Doctoral Programme in Music Therapy, Aalborg University, Denmark. 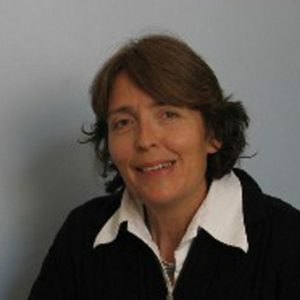 She specialises in dementia psychosocial research: particularly in music therapy and music-based interventions, outcome measure development and evaluation. 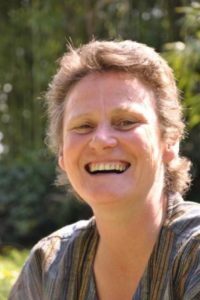 She is a HCPC registered music therapist and continues to work as a clinician in Central and North West London NHS Foundation Trust. She serves on the Editorial Board of the Journal of Music Therapy. Stefano Navone. Music therapist at the Therapeutic Community “Ca’ delle ore” (Breganze – VI); lecturer at the Conservatory in Ferrara, L’Aquila and Mantova, at the Master of Music Therapy at the University of Pavia; collaborates as an external lecturer with the CMT in Milan, the Art Therapy Center in Lecco and the “Siem” triennial school in Macerata; ECM trainer for public and private companies in the field of Disability and non-verbal languages. Italian representative of E.M.T.C. (European Music Therapy Confederation) for the three-year period 2010-13, was a member of the Scientific Committee of the X European Congress of Music Therapy in Vienna 2016 and of the European Music Therapy Forum in Wroclaw (Poland). President of the “InArteSalus” Association and of its training courses. Alessio Surian. Alessio Surian works as associate professor of Education (with a specific focus interpersonal communication) at the University of Padova and as professor of psychology of music at the three-year music therapy course at the “Ferrari” music therapy school in Padova. As researcher he conducts studies on transformative learning and on social and intercultural competences. He collaborates with research and academic centres in Argentina, Brazil, Ireland, the Netherlands, as well as with the international Peruaction network. With Antonella Nicoletti, Giovanna Ferrari and Pierluigi Zoccolotti he designs and studies body music training supporting pupils with dyslexia in primary and secondary schools. Giovanna Ferrari. Psychologist, music therapist, school leader in response the ordinary contest, she has been dealing with years of learning difficulties and music. Graduated in Arpa with the highest marks, expert in music theraphy and learning difficulties. 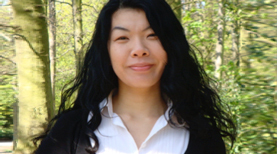 Also psychologist, she has achieved the Postgraduate Diploma in University of Bristol. 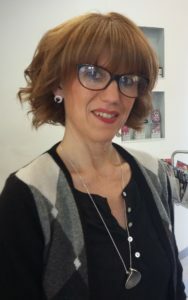 She has a Master in Nonverbal Languages and the Specialization for Support Activities at the “Ca’ Foscari” Universityof Venice with the highest marks; the Master in School Management at the University of Bergamo in 2009. She has been a reference point for music theraphy in various territorial realities, and professor of music theraphy laboratory at the “Ca ‘Foscari” University of Venice and the Jean Monnet training organization in Brussels. She is founding partner of the Giovanni Ferrari School of Music theraphy in Padua. She has presented reports to various national conferences and congresses on music therapy issues. Tina Mallon. Music therapist for “Children for tomorrow“, Hamburg, Germany; Research scientist at the Department of Primary Medical Care, Universitätsklinikum Hamburg-Eppendorf; Chair holder of “Musiktherapie-Initiative e.V.”, founded; music therapeutic experience in the areas of: refugees (all age groups), dementia, palliative care, gerontology and aphasia; studied music therapy at “Hochschule für Musik und Theater, Hamburg”, Germany (MA), as well as psychology and musical education at “Universität Erfurt”. Deborah Parker. Musictherapist; Music degree from York University, a Master in cello from the conservatory of Freiburg-im-Breisgau, Germany, and a Master in music therapy from Anglia Ruskin University UK. She lives in Tuscany, Italy, where she runs the Prima Materia community music project, coordinating a music therapy clinic in cooperation with local health and education services. She has extensive clinical experience with a wide client population of all ages and varied pathologies. In addition to her work in Italy she is coordinator for the International Cooperation project “Music and Resilience” developing community music and music therapy services in the Palestinian Refugee camps of Lebanon, and has trained Syrian refugee educators in psycho-social music practices in Bekaa Valley, Lebanon. She has published in international journals, and has presented at many conferences in Europe and the Middle East. Anna Vandoni. Medical responsible of a local unit of child neuropsychiatry at Santi Paolo e Carlo Hospital (Milan, Italy). She has a Medical Degree, with specialisation in child neuropsychiatry (Università degli Studi di Milano), transcultural psychotherapy (etnopsychanalitic model of MRMoro, Paris, France), and music therapy (CMT School, Milan). She is in charge of HPH projects (Health Promoting Hospitals, WHO regional network), aimed to improve clinical work with Migrants; in 2009 she introduced music therapy to prevent and treat language, learning and behavioural diseases connected to a migratory trauma of children and teenagers; she tutored music therapists in training, starting music therapy projects oriented to adults affected by psychiatric and neurological diseases, and projects of research on treatments results and guidelines definitions. 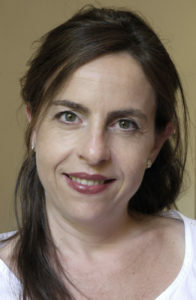 Federica Galli. Clinical psychologist and Assistant Professor of Clinical Psychology at University of Milan. PhD in Neuroscience and post-doc Fellow at “Sapienza” University of Rome. Her main topics of research are psychosomatic and efficacy of psychological interventions. 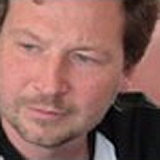 Jos De Backer. Professor at LUCA, School of Arts, campus Lemmens. Head of the Bachelor and Master training course Music Therapy. Senior researcher in the Research Unit music education & music therapy at LUCA. 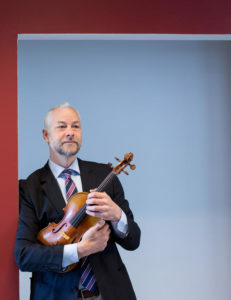 Head of the Music Therapy Department at the University Psychiatric Centre KULeuven, campus Kortenberg. Working with patients with psychosis and personality disorders. Specialized in clinical improvisation and gives lectures, supervision and workshops about this topic around the world. Boardmember Consortium Research and Education 8 universities. Past president of EMTC. Katrien Foubert. PhD student; associate professor music therapy in LUCA, School of Arts, association KU Leuven (Belgium); music therapist in University Psychiatric Hospital UPC KU Leuven. She received her master in music (violin) from Conservatoire de Bruxelles. She specialized in music therapy in LUCA, School of Arts. In her doctoral studies, she focuses on the study of musical joint improvisation in music therapy with patients with a borderline personality disorder. She received grants for her research work from the foundation Vocatio and from OPaK (research in the arts). As violinist, she is a member of the professional chamber music ensemble Odysseia. She linked her scientific work with her work as artistic performer with the project ‘Between Improvisation and Composition’, which was finalized as a scientific concert performance and a CD recording. 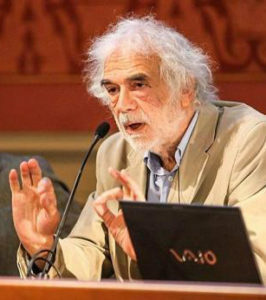 Giuliano Avanzini. Emeritus Chair of Department of Neurophysiology, Neurological Institute Carlo Besta, Milano; MD degree at University of Milano in 1961, specialty in Neurology in 1964 and professorship in Neurology in 1971. He worked at the University of Parma, Milano and at the Albert Einstein College of Medicine of New York and at the University of California Los Angeles. Since 1972 he has been working at the National Neurological Institute C. Besta of Milano. He has currently teaching appointments at the Universities of Milano, Parma and Ferrara. 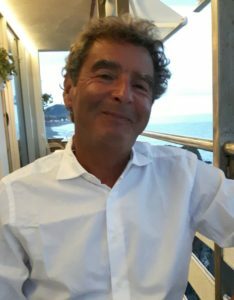 He is member of several Scientific Societies and served as president of the Italian and International Epilepsy Societies Member of the scientific committee of Pierfranco and Luisa Mariani Foundation and of the editorial committee of several Scientific Journals, has been also Editor in Chief of Neurological Sciences. He has been President of the International League Against Epilepsy (ILAE), awarded with the Annual Epilepsy Research Award of the American Epilepsy Society and with European Epileptology Award. 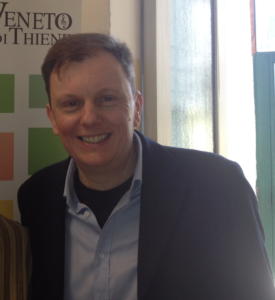 He is president of the International School of Neurological Sciences of San Servolo-Venice. His main research interests are: Basic and Clinical Neurophysiology, Epileptology and Neurological Aspects of Music. He has been coordinator of the European Community Project “Functional genomics and neurobiology of epilepsy : a basis for new therapeutic strategies (EPICURE) and is Member of the coordinating committee of the European Project “Development and Epilepsy – Strategies for Innovative Research to improve diagnosis, prevention and treatment in children with difficult to treat Epilepsy (DESIRE)” FP7-Health- 2013-Inovation-1. He is author of 571 publications and editor of 32 books in the field of the Neurosciences. Gerardo Manarolo. Psychiatrist, Psychotherapist, Senior Level Manager at the Local Health Care Company of Genoa, Professor of Music Techniques at the University of Genoa, he founded the magazine Music & Therapy, Editions Cosmopolis, of which is Editorial Director; he runs the Apim three-year schools of Music Therapy of Genoa and Turin, He published many articles concerning the use of psychiatric Music Therapy (developmental , adults, elderly) and deepening the theoretical-methodological aspects of discipline. In his research works he has mainly focused on the development of receptive Music Therapy techniques. Among is various publications are the Music Therapy Manual, Cosmopolis Editions, a text that outlines the theoretical-methodological aspects of Music Therapy, and the book Musical Care, Cosmopolis editions, dedicated to applications in psychiatric rehabilitation. Rossella Fois. Musician and music therapist, she has working experiences and activities in both areas. As a music therapist, she has graduated at the Music Therapy school of Assisi and she got the title of Magister in the Benenzon model; she has worked in the psychiatric field; she currently mainly deals with music therapy projects in the educational sector. 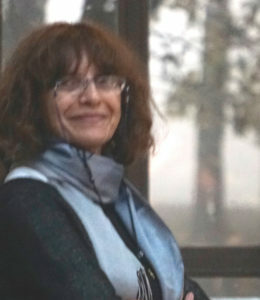 She is Didactic Director of the Triennial CMT Music Therapy School, of which she is a founding partner, she held seminars on Music Therapy for the Conservatories of Milan and Como and for the University of Pavia; she is currently lecturer at the Music Therapy courses of the Conservatories of Ferrara and Mantova. She is President of Confiam and CMT. Musician, graduated in clarinet, she has performed and performs concerts with chamber music ensembles and orchestral formations and she is a tenured teacher of her instrument in music middle schools. In 2016 she took the exams of the pre-academic course of composition at the “Claudio Abbado” Civic School in Milan.